Prepare to swallow. Hard. 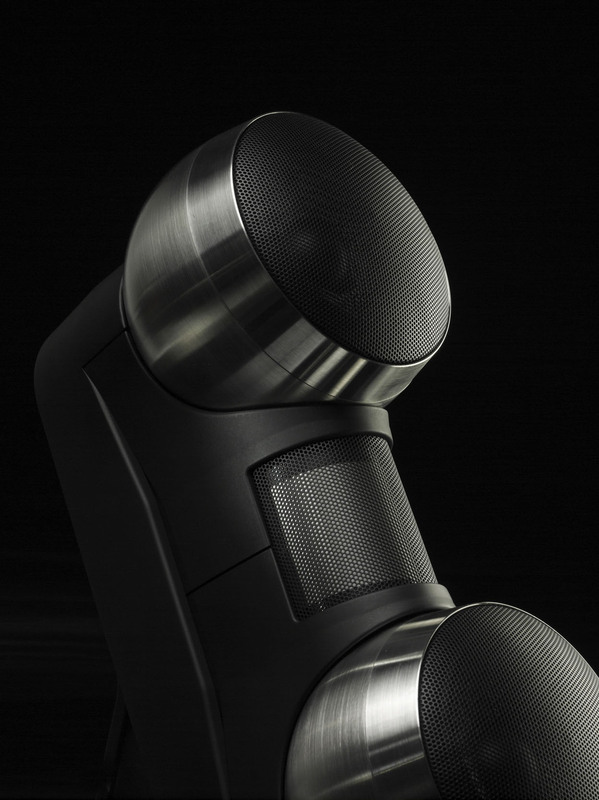 The Kiso Acoustic HB-1 is a 6-liter 5kg mini speaker of 85dB inefficiency with a 100mm mid/woofer. Its sell price inclusive of 19% German VAT begins at an outrageous €13.800/pr. 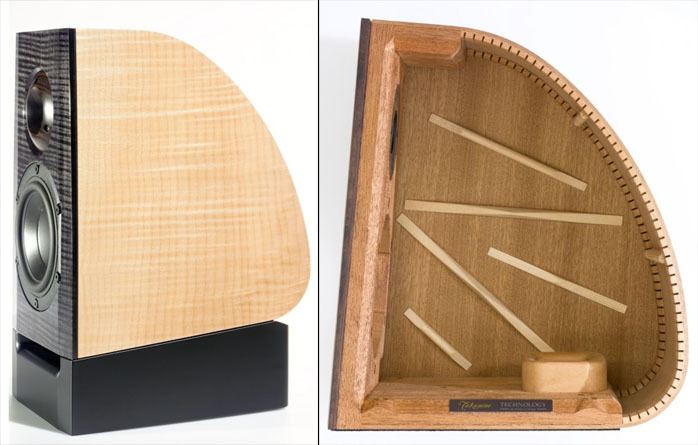 A matching Acoustic Revive stand which sold for a shocking €4.600/pr has since been discontinued. It was replaced by Kiso's own €2.500/pr Podium stand. Exclusive to a buttock-clenching fault, the HB-1 isn't even real trophy hifi. There you'd need diamond tweeters and ceramic or nano-tube mid/woofers encased in 100lbs of aluminum to make the grade. 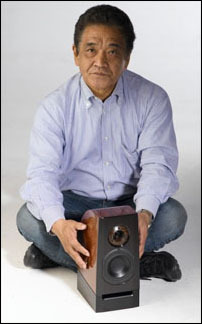 Kiso only gives you a Fostex tweeter loaded into a short 1.7cm Ebony wave guide; and what German importer Thomas Fast called an unmodified Peerless mid/woofer. As the world's most successful high-volume seller of Franck Tchang acoustic resonators, Herr Fast is no stranger to controversial products. That's good. 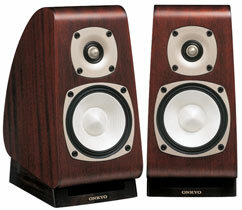 Onkyo has the conceptually related D-TK10 precursor. It sells for a far lower €2.000/pr and was released in December 2005. 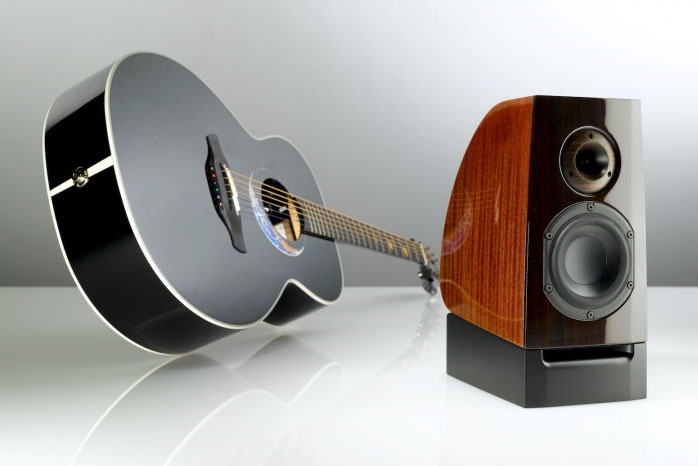 It too is built by Takamine but unlike the Kiso on an assembly line supplied to Onkyo which then builds up the speaker with its own drivers and crossover components. The D-TK10 is available in limited quantities of 50 pairs a month, features a ring radiator tweeter, different mid/woofer and even lighter construction. Back on the HB-1 it's intended for the far field, supposed to be placed wide and toed in to cross right in front of the listener. 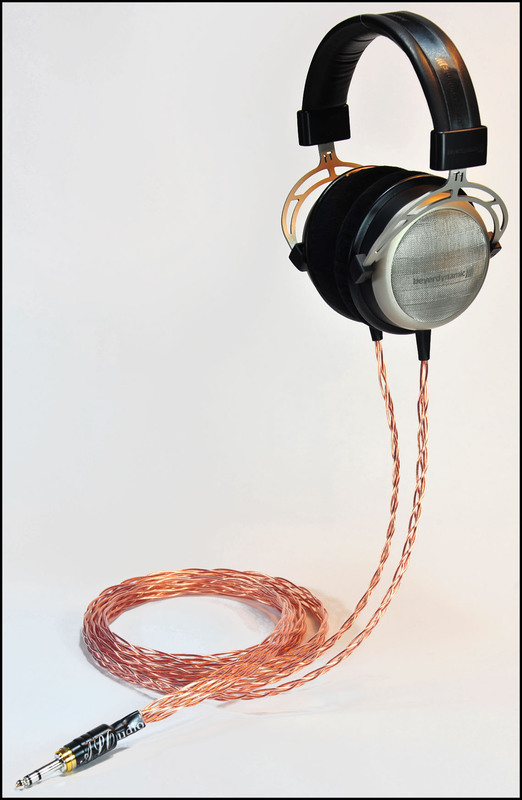 And the tweeter wants to sit 10 - 15cm beneath the ears. A page 4 intermission will get back on the money aspect. Behind Kiso Acoustic are founder Toru Hara, Japanese audiophile with a legendary hardware collection [left and right]; minority share holder Stig Bjorge of Lyra cartridge and Lyra Connoisseur amp fame; and Takamine Gakki, head of legendary Takamine Guitars. Built by Takamine like a musical instrument, the HB-1 runs a solid Rosewood baffle, then a steam-molded high-gloss finished 2.5mm curved spine that can be Mahogany, Maple or Hawaiian Koa. This swooping section replaces a conventional box's top and back panels. The cheeks lean inward to avoid parallelism, are subtly curved and tensioned and made from 2.6mm of solid wood that's matched to the spine. The downfiring port is Mahogany again. It vents out the front through a slot built into the top of the Mundorf crossover-containing integral plinth. 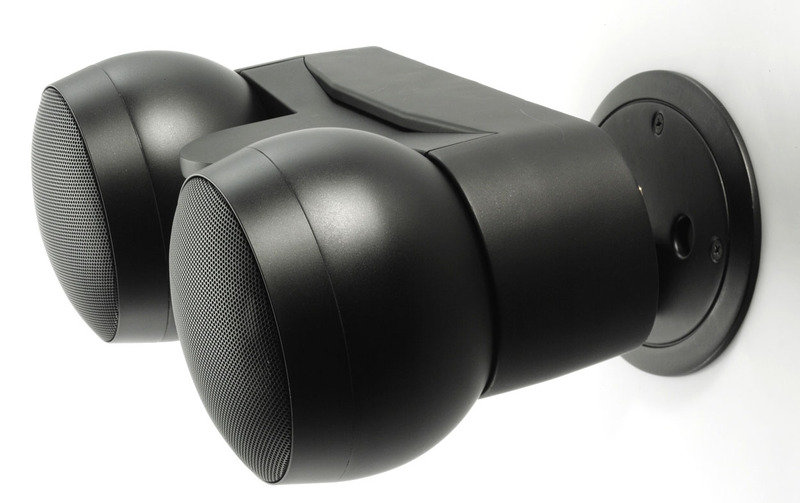 317 x 148 x 221mm HxWxD are the petite dimensions and speaker cables to any reasonable length are included to duplicate the internal hookup wiring. By now your hard swallowing might have given way to curiosity if likely tempered by a stern but reasonable "not for me"? In the real world, I'd follow suit. In the world of reviewing where writers get to live with products over a few months which they could otherwise never afford or justify, curiosity routinely throws caution to the wind. 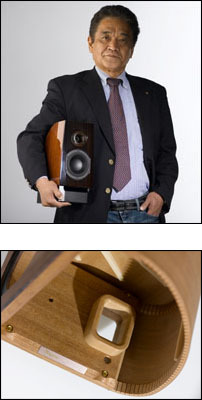 Having seen this speaker at the HighEnd Suisse 2010 show in Zürich and trusting the ears of Thomas Fast who also handles Abbingdon Music Research and listens to Karan Acoustics at home, I was intrigued. This speaker was clearly different. I wanted to hear how.